Audio Technica ATH-ANC70 Active Noise-Cancelling Over Ear QuietPoint® Active Noise-C.. Audio Technica ATH-ANC9 Active Noise-Cancelling Over Ear QuietPoint® Active Noise-Ca.. Audio Technica ATH-AR3iS Smartphone On Ear High-Fidelity Audiophile On-Ear Headpho.. Audio Technica ATH-ES700 On Ear Closed-back Dynamic Headphones ATH-ES700 .. 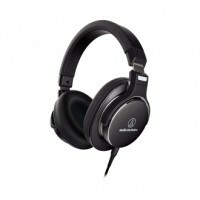 Audio Technica ATH-FC707 On Ear Δυναμικά Ακουστικά κλειστού τύπου αναδιπλούμενα .. Audio Technica ATH-MSR7 High Resolution Over Ear Over-Ear High-Resolution Audio He.. Audio Technica ATH-SR5 Smartphone On Ear High-Fidelity Audiophile On-Ear Headphone..